This 5.5-inch Android handset has an octa-core Exynos processor on board and is expected to hit the market in time for the holiday shopping season. 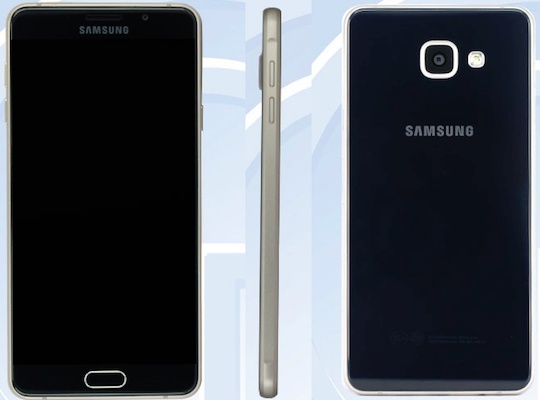 Samsung unveiled the Galaxy A7 less than a year ago, but it looks like this handset will get updated before 2016 kicks in. The new Galaxy A7 has been already spotted on AnTuTu, and then it showed up online again when it got the Bluetooth certification. Now, the time has come for it to hit the Chinese FCC, namely TENAA. 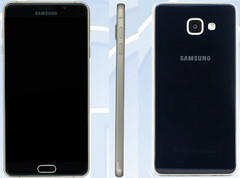 The device that appears on TENAA as SM-A7100 is said to be the updated Samsung Galaxy A7, its highlights including an octa-core Exynos SoC clocked at 1.7 GHz, 3 GB RAM and 16 GB internal storage, a 5.5-inch OLED display with 1,920X1,080 pixels, 5 MP front camera and 8 MP or 13 MP image snapper on the back. Just like its predecessor, it offers microSD support for additional storage as well. Samsung Galaxy A7 SM-A7100 runs Android 5.1.1 Lollipop and scored 37,500 AnTuTu points, a better result when compared to the previous generation. There is no info on pricing and availability for now, but we should hear more about it soon.